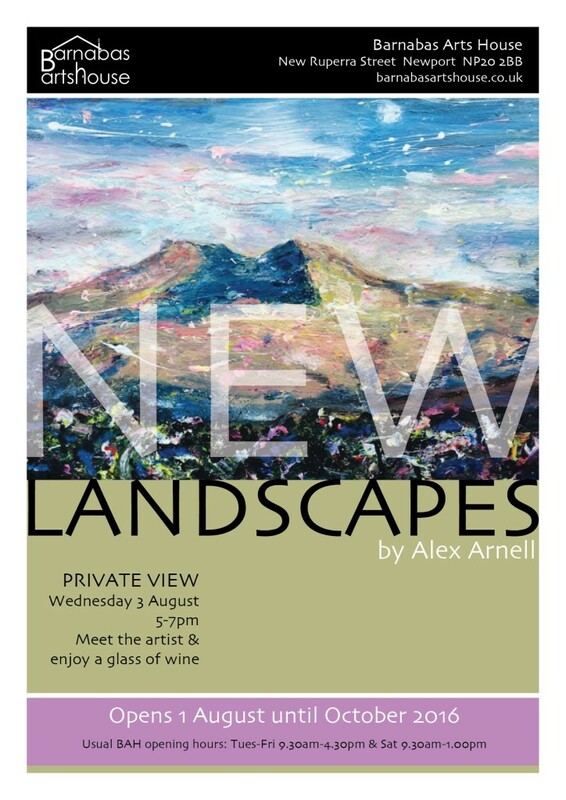 NEW LANDSCAPES by London-based artist, Alex Arnell continues at Barnabas Arts House until early October. Don’t miss the opportunity of seeing these fresh & expressive paintings of urban & rural landscapes of Wales – including Newport’s Transporter Bridge, the Brecon Beacons, Cardiff Bay, Worm’s Head, Pen Y Fan & Snowdon. All work is for sale, but is selling fast! This new work shows the diversity of Alex’s talent. Previous works have been known for their larger than life sheep & popular iconic figures. 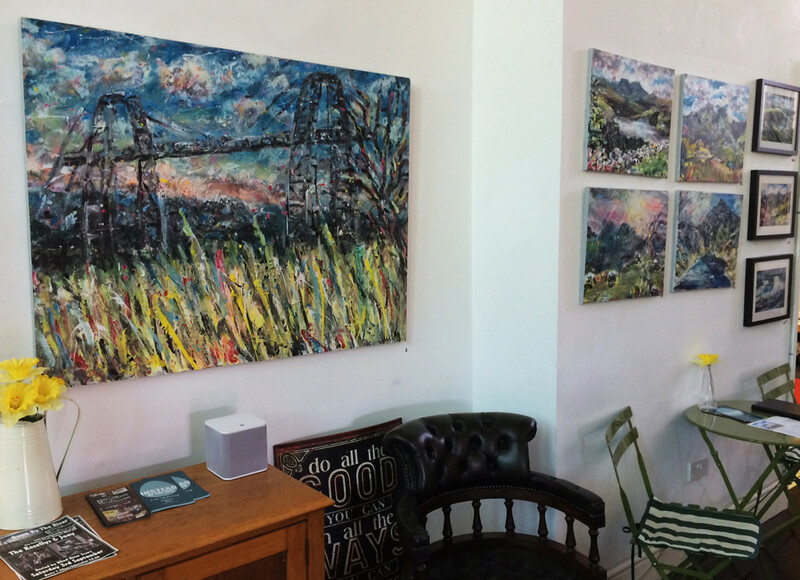 NEW LANDSCAPES takes a fresh look at the Welsh landscape & includes several wonderful interpretations of Newport’s infamous Transporter Bridge. A show not to be missed.